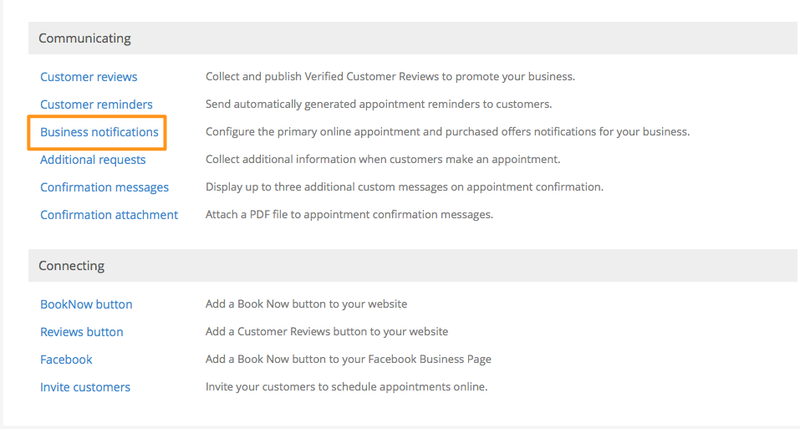 You can then choose to receive notifications via email, text, or both. 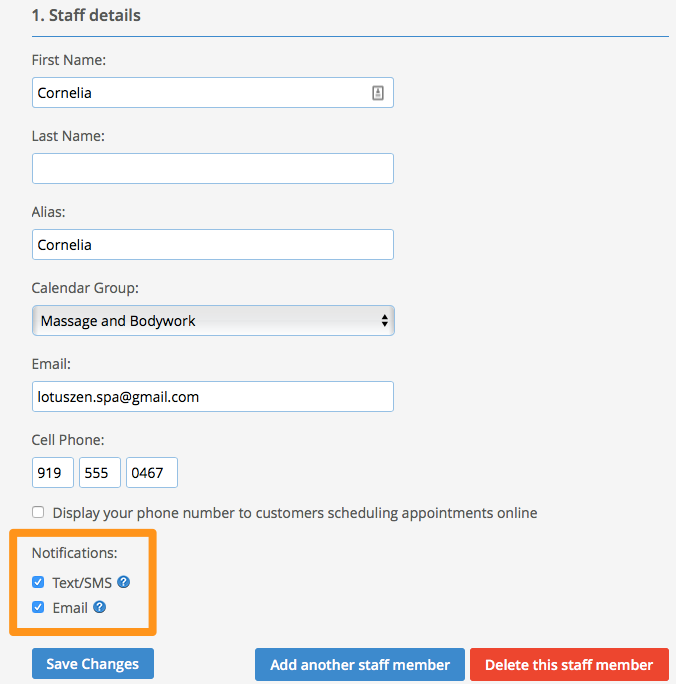 Business notifications are sent whenever anyone makes an Online appointment (those made using the Online Scheduling Page) with any staff member at the business. The emails contain the full appointment details, as well as an .ics file attachment that can be downloaded into an external calendar (Google, iCal, Outlook). 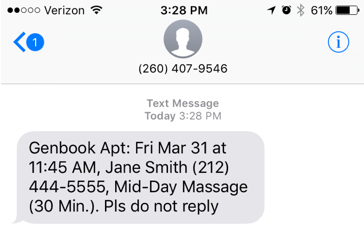 The text messages contain the appointment essentials (client's name and phone number, appointment date and service). An email is also sent when a client cancels or reschedules an appointment with your business. Staff notifications are set up on the Staff Details page (Settings > Staff > [Staff Name). Email notifications are sent to a staff member when he/she receives a new appointment if the appointment is made by someone other than that staff member (e.g. a customer, the account's admin, another staff member). 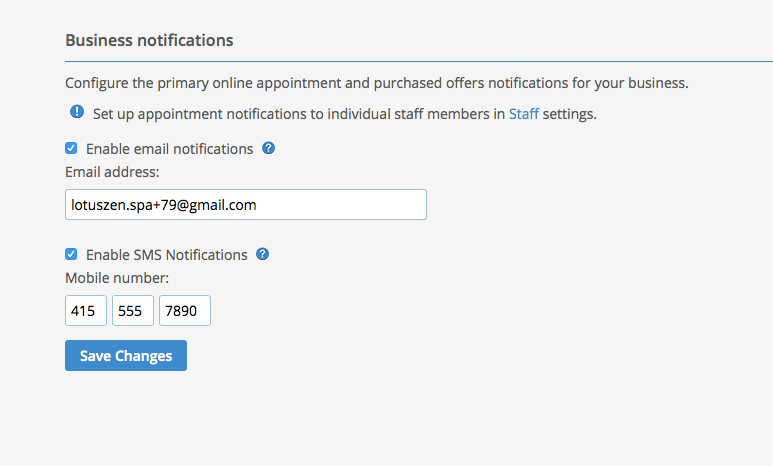 Email notifications are also sent whenever appointments are edited by someone using a login other than that staff member's. Edits that prompt staff-level email notifications include: newly created Blocks, updates to time/date or other aspects of an appointment, and appointment cancellations.